I didn’t expect this to be one of the scarier books on my list this month. I’ve been getting into the Halloween spirit recently with some horror and thrillers, but I picked up this “rural noir” because Attica Locke is an automatic read for me and my turn came up on the library holds list. With Charlottesville fresh in my mind, however, this story of a small town infested with white supremacists was really freaking scary. It’s not like anyone can blithely claim that neo-Nazis are an extinct relic of the past after seeing them marching with tiki torches on the news. Darren Matthews is a black Texas Ranger, and the innate conflict of that identity is always at the forefront of his mind. He knows there are people in his state that take issue with his calling it home. Others wonder why he would choose to stay in a place so poisoned by racist beliefs. While Darren admits it isn’t easy to stay, especially working in law enforcement, he believes deeply in his right to have a say in what Texas is. It’s his home too. 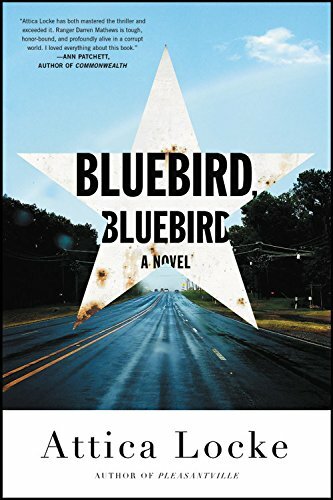 Even though his home is a messed up place, as evidenced by a pair of murders Darren is investigating in a small town where the Aryan Brotherhood is alive and well. As is often the case when I read thrillers, I found myself much more interested in Darren as a character than in the solving of the crimes. I like page-turning action as much as the next girl, but what stays with me after I’ve turned the last page is a compelling and complicated central character. Attica Locke did it before with Jay Porter in Black Water Rising and Pleasantville, and again with Caren Gray in The Cutting Season. I am criss-crossing my fingers and toes that she has more plans for Darren Matthews up her sleeve, because that ending opens the door to some drama that is just begging to be explored. Ever since I inhaled the S-Town podcast in two days, I’ve been looking to recapture that weird, can’t-look-away fascination I felt as I listened to John B. McLemore’s story unfold. American Fire comes pretty dang close. The basic story is this: a few years ago, someone started lighting abandoned buildings in Accomack County, Virginia on fire. It’s a rural enough area that the fire departments are all volunteer outfits, staffed by people who have to get up and go to their day jobs after fighting fires all night. And whoever this arsonist was, they were prolific, sometimes setting multiple blazes per night, until it started to seem like the entire county would burn to the ground before the guilty party was caught. 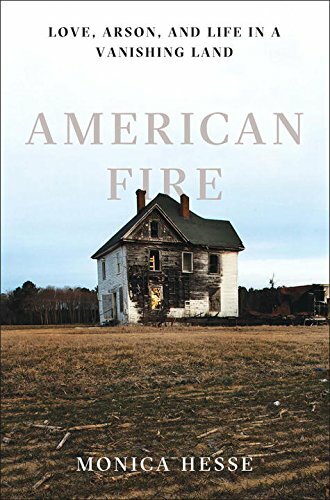 I don’t read a lot of true crime because I don’t have the stomach for it, but as the daughter of a fire chief, I found myself curious about the story behind the fires in Accomack and what would drive a person to burn down empty buildings night after night. Journalist Monica Hesse unfolds the story in a way that reminded me of S-Town—there are layers to the people involved and the problems they have. As you might expect, there’s no single, easy answer waiting to be revealed at the end, but in a way that’s what makes it satisfying. Highly recommended, especially if you have an investigative spirit and enjoy probing the dark corners of other people’s minds.